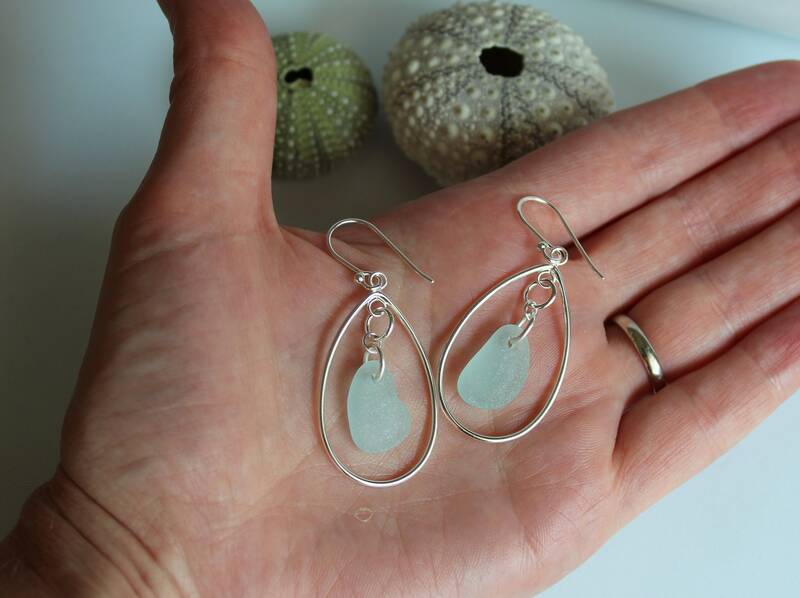 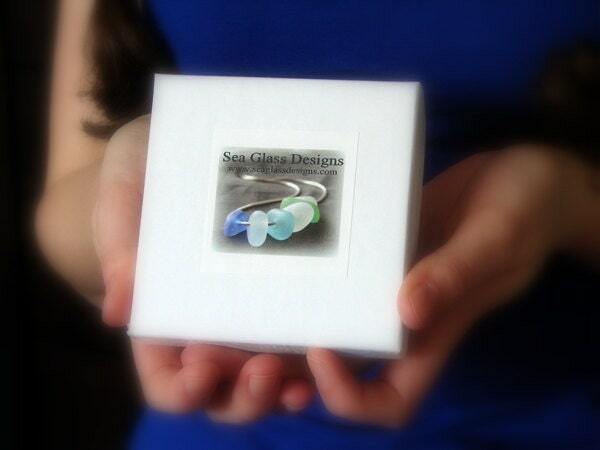 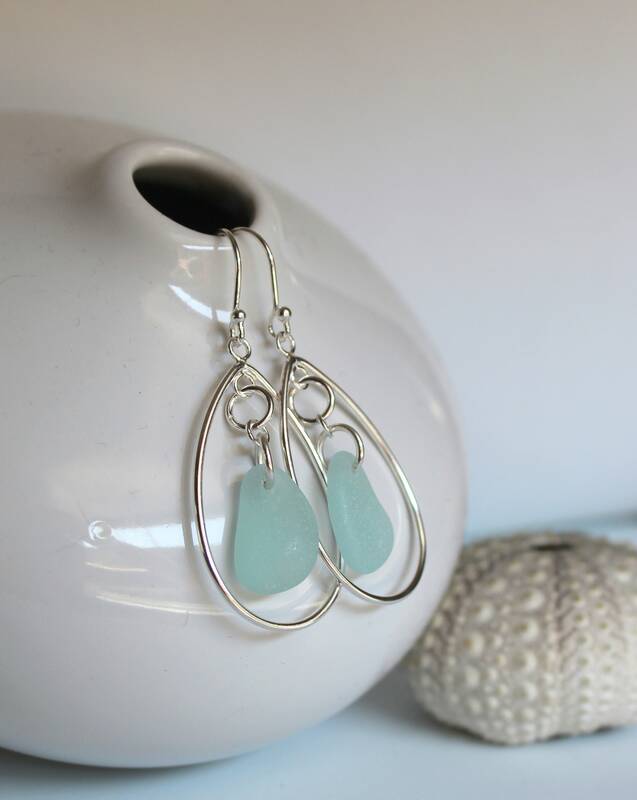 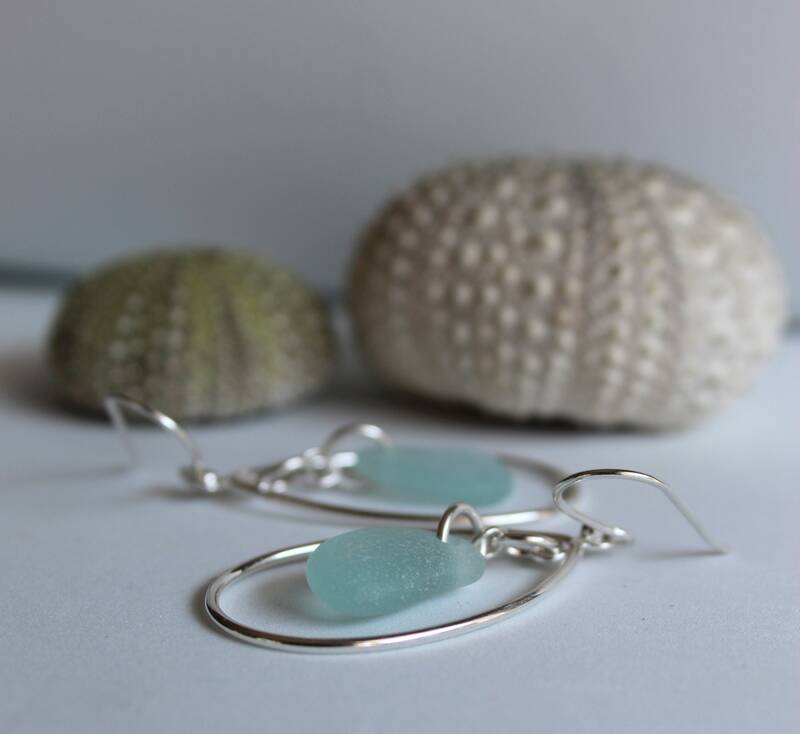 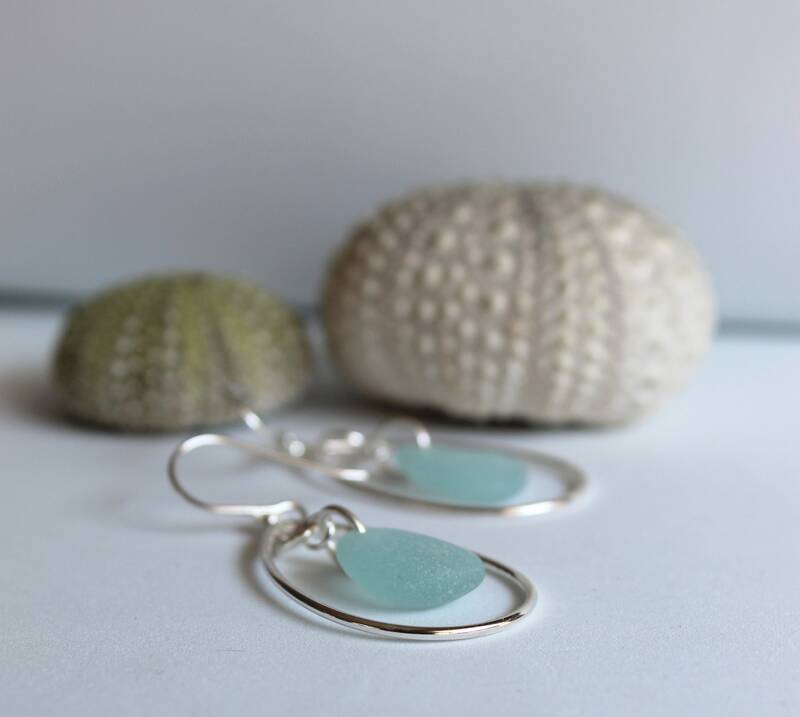 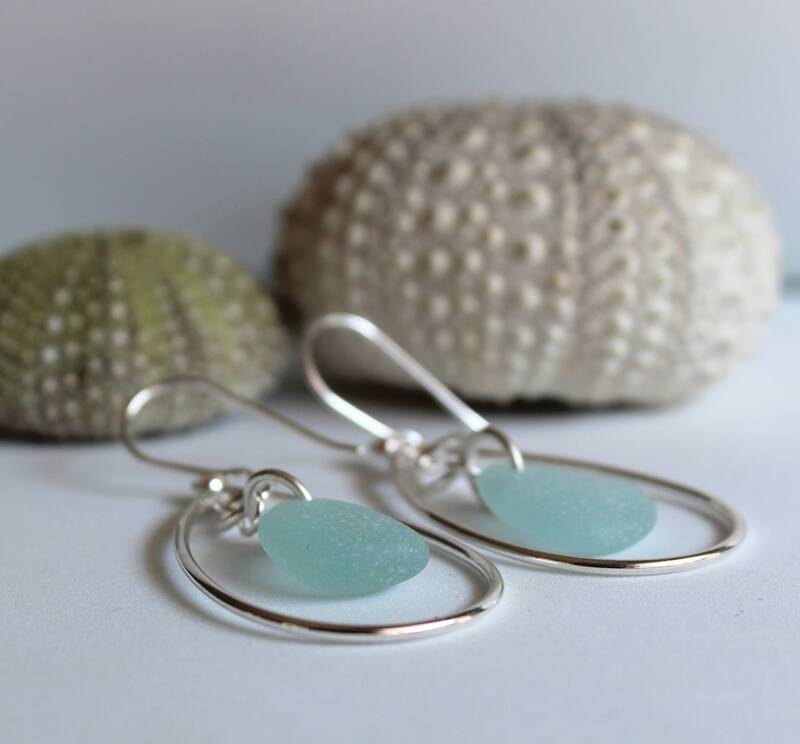 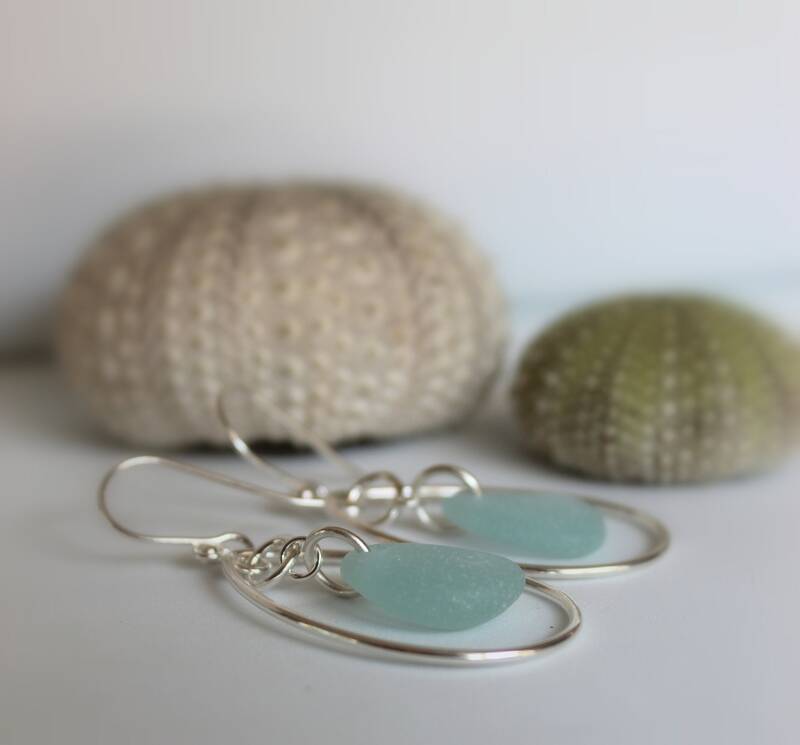 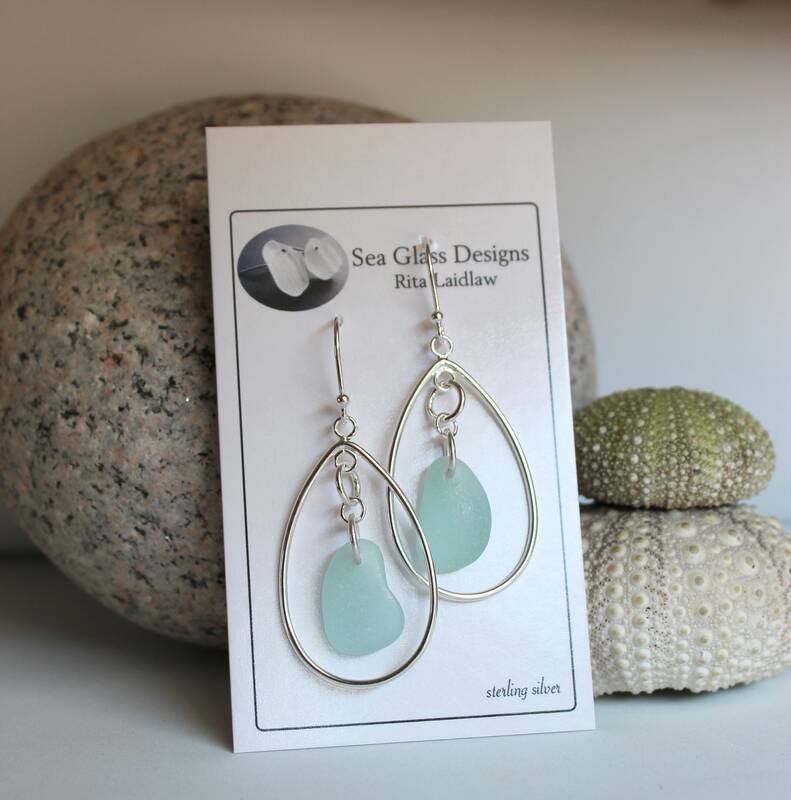 Our Sea Keeper sea glass earrings feature lovely pieces of soft aqua beach glass framed in sterling silver ovals, on sterling earwires. 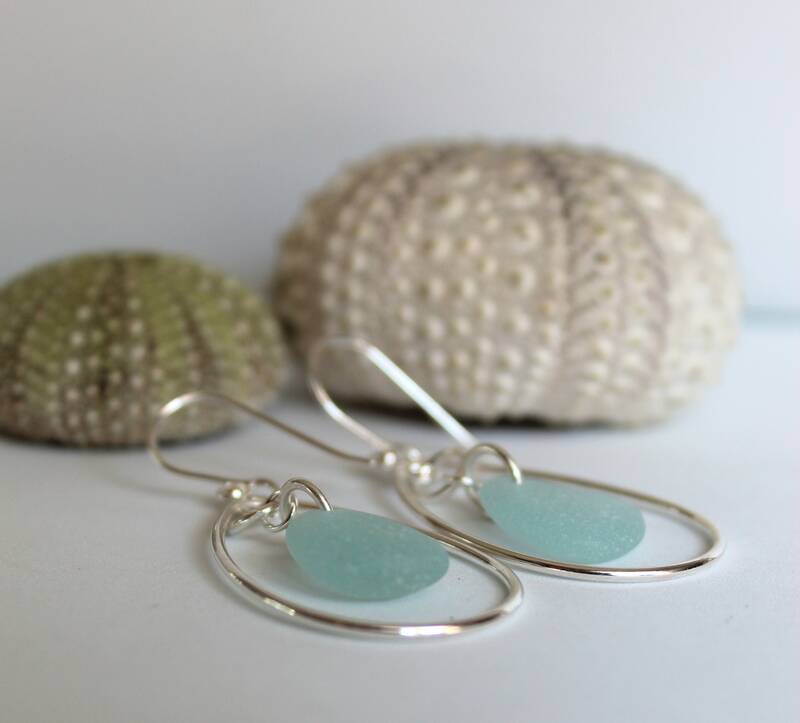 Just for you, be a Keeper of the sea. 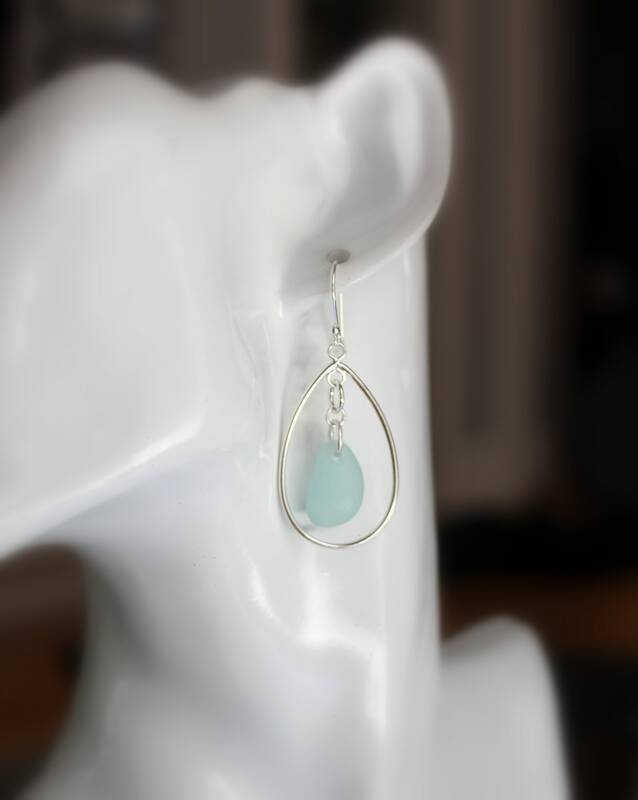 The earrings measure 2" in length and have lovely movement.